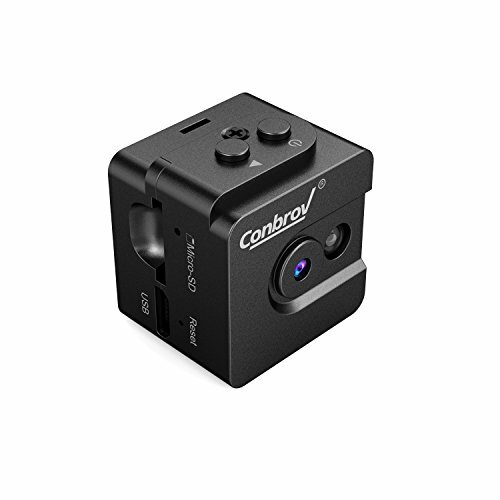 Super Mini Small Camera:After the Conbrov DV12 and T11 spy camera, this Conbrov hidden video recorder(1.0in, 0.6oz cube) is the world's smallest portable pocket body camera. You can record both photos and videos without attracting any attention. The small and portable design makes it perfect for home security and secret monitoring. It can also be used as a nanny cam. 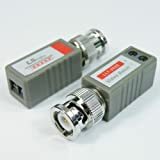 Superior HD Videos and Photos:Records video in exceptional 1280 x 720p HD at 30 frames per second. In addition to high quality daylight videos and photos, this body cam can also record in total darkness with a range of 10 to 15ft. Sound Activated Recording:Can be set to record automatically when triggered by any sound greater than 60dB.At that point, the camera will record a two-minute video clip. If you want to record videos manually, you can extend the length of the videos up to five minutes each. Loop Recording Body Cam:This spy cam supports class 10 microSD cards with at least 8 GB and max 32GB capacity(microSD card NOT included) for loop recording.When the card is full,it will automatically overwrite the oldest video files with new ones. The Conbrov T16 also supports recording and charging at the same time, so you don't need to worry about running out of battery life. What You Get: Conbrov T16 Spy Camera,Micro USB cable,magnetic bracket, camera clip,card reader,pin,user manual, and our fan-favorite 12-month warranty.If you have any questions before or after your purchase, please feel free to contact Conbrov or ask us questions under this listing at the "Customer Questions &Answers" section below. Conbrov and other customers will help answer your questions as soon as possible. Conbrov has been committed to the research and development of home security products since 2005, with more than ten years of professional experience and knowledge, we are far ahead from other competitors especially in hidden cameras and on-dash cams, more than that, all Conbrov products are designed independently to satisfy customer experience and meet their potential demand. Why You Should Choose Conbrov T16? Sound Activated Recording: can be set to record automatically when triggered by any sound greater than 60dB.